Effortless and cool, with a touch of glamour. 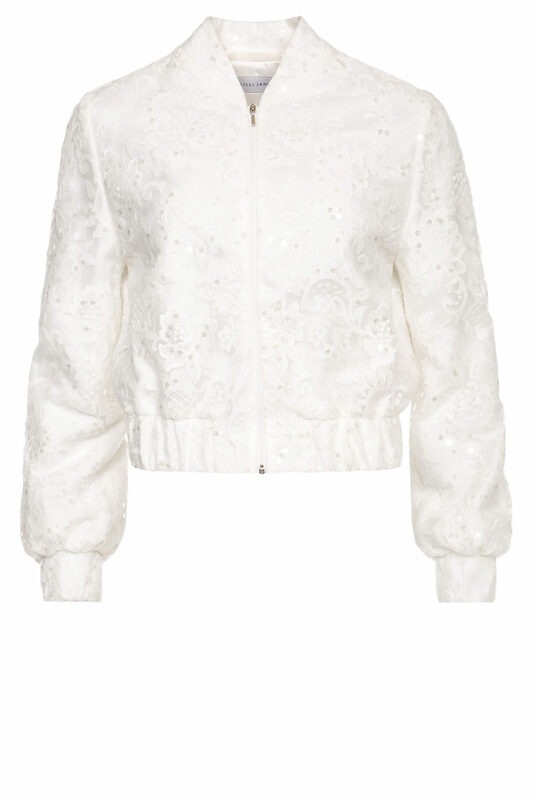 The use of sequin embroidered tulle gives a romantic charm to this sporty and fully lined bomber jacket. 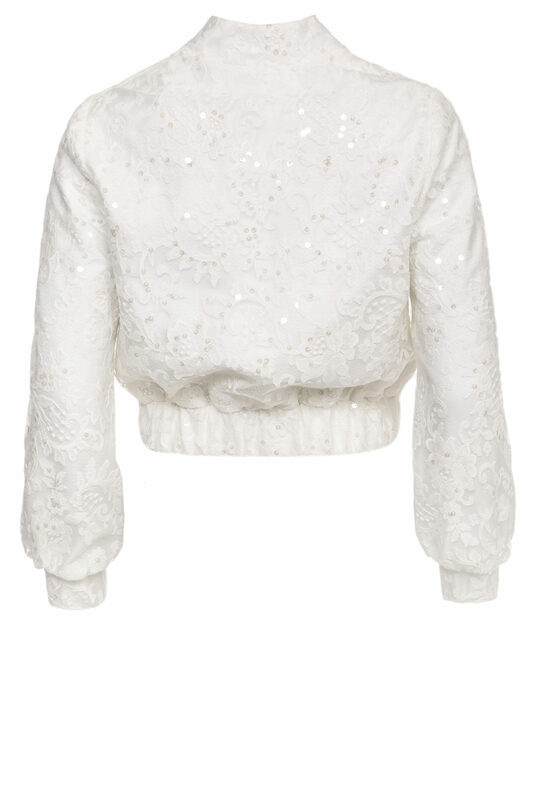 Elaborate bell-shaped sleeves give an elegant touch to the classic piece. Styling tip: Layer it over the matching Emma dress or casually with a white tee and jeans with the zip slightly undone.